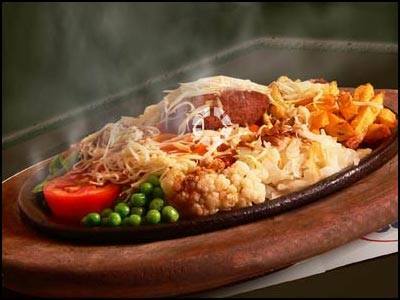 Indians love eating and when it comes to Indian cuisines, the love becomes even stronger. 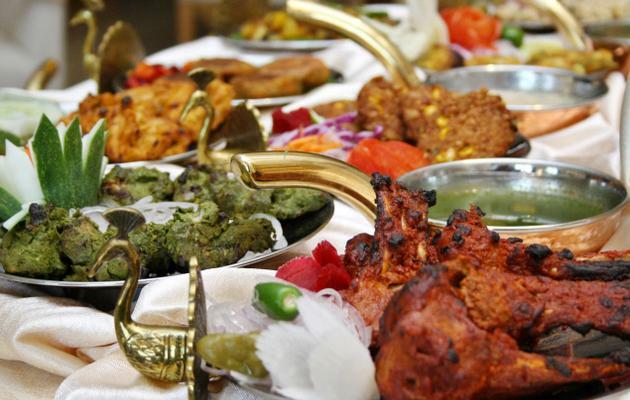 Food from Rajasthan is not limited to the state and enjoyed by people everywhere. 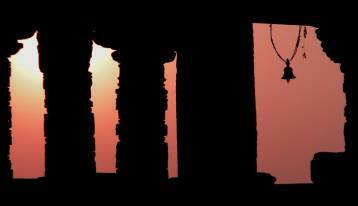 But the fact remains that if you want to get the authentic taste, you have to be in Rajasthan. Everybody even remotely interested in Indian food knows about this integral part of Rajasthani cuisine. Bati is basically a baked ball of whole wheat flour. You even get Bati stuffed with veggies and dry fruits. Daal is a spicy preparation of lentils which completes Bati. Mirchi Ke Tapore is another side dish made of green chillies which is served with Daal Bati. Laal Maas or Red Mutton is a delight for every non-vegetarian foodie. The spicy dish was a favorite of royals and still enjoys a dedicated following. Laal Maas is very hot and spicy thanks to a whole lot of red chilies added to it. Besan or Chickpea flour dumplings are the main elements of this curry. These dumplings or Gatte are dunked in the thick gravy and taste heavenly with both Roti and rice. For a royal twist, Gatte are filled with nuts and dry fruits too. 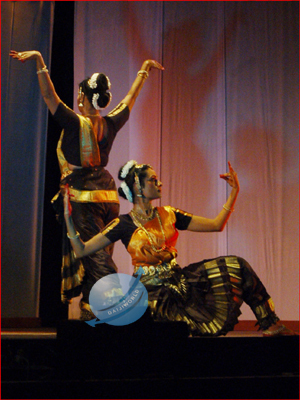 This richer version is known as Govind Gatte. Besides Gatte Ki Sabzi, Gatte ka Pulao (rice) is also a delicious take on Gatte. Ever imagined that the crispy Papads can be turned into curry? Well, you will not be able to resist Papad soaked in yummy gravy. Rajasthan specializes in turning crispies into curries as you will even find savory curry made with Besan Sev only in this state. Both these curries find perfect match in hot chapattis. This mutton recipe is a little on the sweet side. The cashew-nut gravy and curd lend a truly indulgent taste to this curry. Safed Maas has flavors of cumin, cinnamon, coriander and cardamom. Ker is a berry while Sangri is a kind of bean. These two are combined to create a tangy dish that is a must in every Marwari wedding. This is a side dish which can enhance the flavor of any meal. Kadhi is cooked in different styles in many regions of India. Rajasthani Kadhi is made with Besan like most other varieties of Kadhi but it is spicy. It is made even tastier with the addition of besan pakoda. If you see kadhi without Pakodas in Rajasthan, don’t be surprised as it is served without them along with daal bati and snacks. Mangodi is prepared with paste of grounded moong daal & spices and then dried under sun for a few days. These mangodis are then used to make a curry with spicy gravy. Enjoy the sabzi with rotis. Daal Bati finds its perfect companion in the decadent flavors of Churma. Churma is made with whole wheat flour, ghee, sugar and dry fruits. Churma tastes great whether enjoyed in its crushed form or as laddoos. These little ‘pancakes’ quoted with nutty sugar syrup are the ultimate indulgence. Malpuas are quiet heavy on stomach but no one can stop at just one. They are made even richer when served with Rabdi (sweet condensed milk). Another Pure Rajasthani indulgence, Ghevars are made only during Saawan (rainy months) so you have to visit the state in July, August to treat yourself. Ghevars are made with paneer (cottage cheese), flour and sugar syrup. Dry fruits and cream make Ghevar irresistible. This sweet kachori filled with Mawa (condensed milk) is something that you can’t say no to. This calorie bomb will make you want to cheat on your diet every day. Made of Besan (chickpea flour), Mohan Thaal has a very smoky taste that comes from roasting besan on low heat for a long time. Also known as Makkhan Vada, this sweet treat is made of flour and sugar syrup. It is decorated with dry fruits and doesn’t has any other ingredient added to it but the flaky texture and luscious taste will make you fall in love. Who doesn’t know about this heavenly sweet? Milk Cake is made with milk cooked on low heat. You may get milk cake anywhere in country but the one from Alwar is the best. Also try Mishri-Mawa which is something between Rabdi and Milk Cake. The spicy kachoris with a filling of onion and potatoes are the most popular snacks in Rajasthan. Deep fried Kachoris are served with kadhi or mint-coriander chutney and are truly mouthwatering. It is made of fresh chilies that are way bigger than the normal ones. Chilies are slit and stuffed with yummy spiced potatoes. The stuffed chilies are then coated with besan paste and deep fried. Mirchi Vada is enjoyed best with mint and tamarind chutneys. These crispy, savory discs are very popular in Rajasthan. Kalmi Vadas are made using a batter of Chana Daal (split black gram) seasoned with ginger, coriander, green chilies and asafoetida. Enjoy them for breakfast or as evening snack. 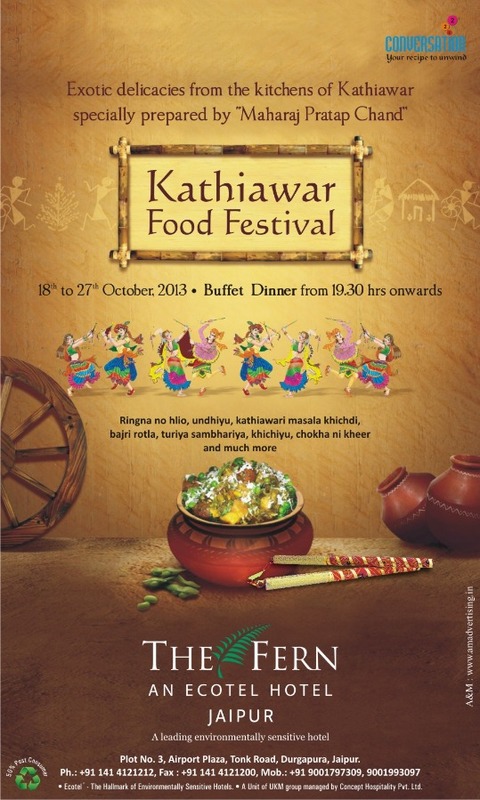 We are sure that you are already drooling and are ready to come to Rajasthan for a tremendous feast! If you believe that the luxury of Palace on Wheels train is only for its passengers, then there is a surprise for the Pink City. The royal experiences of palace on Wheels, especially the dining delights, are soon going to pamper the denizens of Jaipur at Nahargarh Fort. Yes, you read it right! Now, the Palace on Wheels team is set to stir your taste buds not on the train only but also at the picturesque Nahargarh Fort. 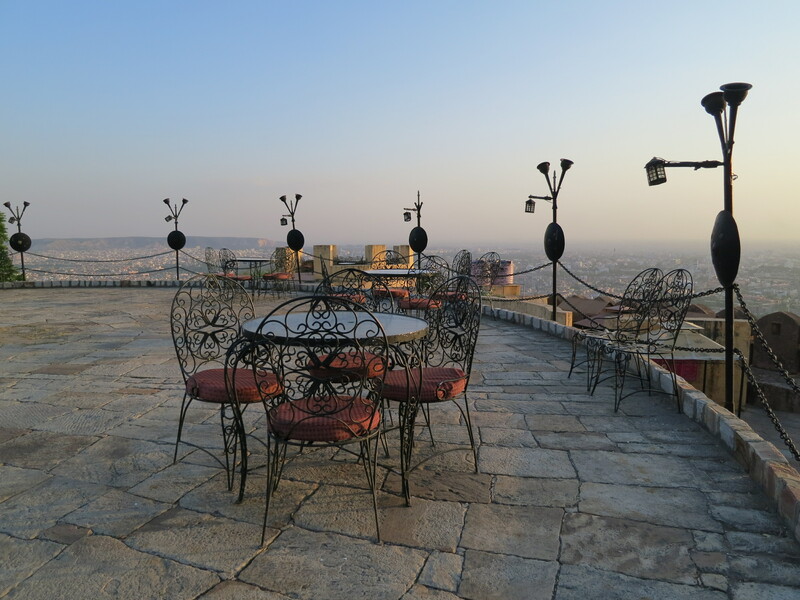 In a first of its kind initiative, you will now be able to get the taste and feel of a lifetime dining experience in the 1734 fort with the panoramic view of the city at night. Come May end, every evening, you can enjoy exquisite hospitality and cuisine by the Palace on Wheels team at the ‘Padao Restaurant’ at Nahargarh Fort at no extra cost. 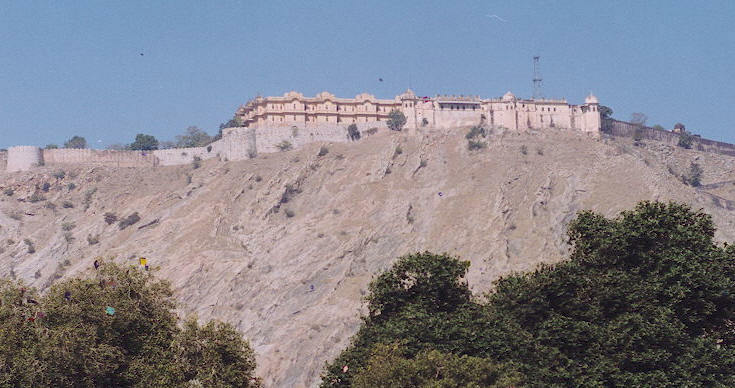 The Padao’ at Nahargarh Fort, overlooking the city, would serve royal cuisines with the entire paraphernalia of the Palace on Wheels including the staff butlers and the chef in train uniform, crockery and cutlery et al. A special menu is being designed by the Palace on Wheels team incorporating Indian and continental cuisines but most of it would be what is served on the train to the tourists. 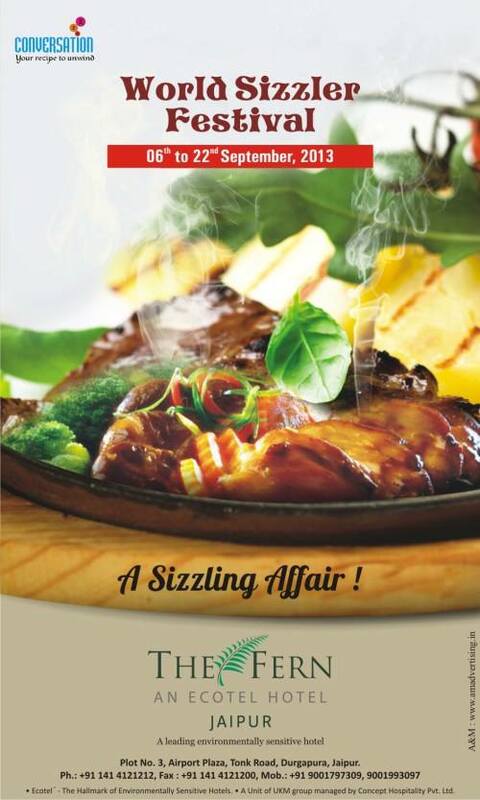 The idea is to showcase the POW services and cuisine to the public at no extra cost. Owing to the summer heat, these services would be available only in the evenings. 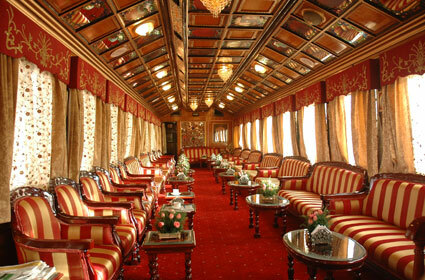 So get ready to experience the palace on Wheels style dining at Nahargarh- Jaipur. We went out to the shopping mall for some regular shopping and found decorated markets on the way, dazzling shops with lights, pomp’s and gifts wrapped in attractive packing which quite symbolized the arrival of Diwali – the festival of lights, fervor and Happiness in India. Diwali in Rajasthan is an absolute celebration of life and all the good that it has to offer; it is a time for togetherness and bonding. 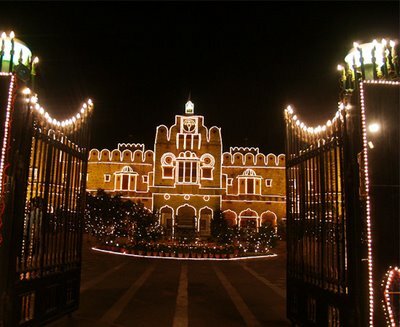 The Indians living in India would be itching to celebrate while the Indians living abroad would make sure their Indian holiday plans are in sync with Diwali time. Joy derived from triumph of good over evil is the hallmark of Diwali. It was a dark, moonless night when Lord Ram, the banished king of Ayodhya returned home along with his wife, Sita after having vanquished the demon, Ravan (King of Lanka who had abducted Sita) and having completed 14 years in exile. To honor and rejoice the homecoming of the king, the people of this kingdom lit his path with oil lamps to guide him on his way. Thus began the tradition of decorating homes and public spaces with earthenware oil lamps (diyas) to mark the triumph of good over evil, light over darkness and the five day celebration came to be known as Diwali or Deepavali which means ‘rows of lights/lamps’. 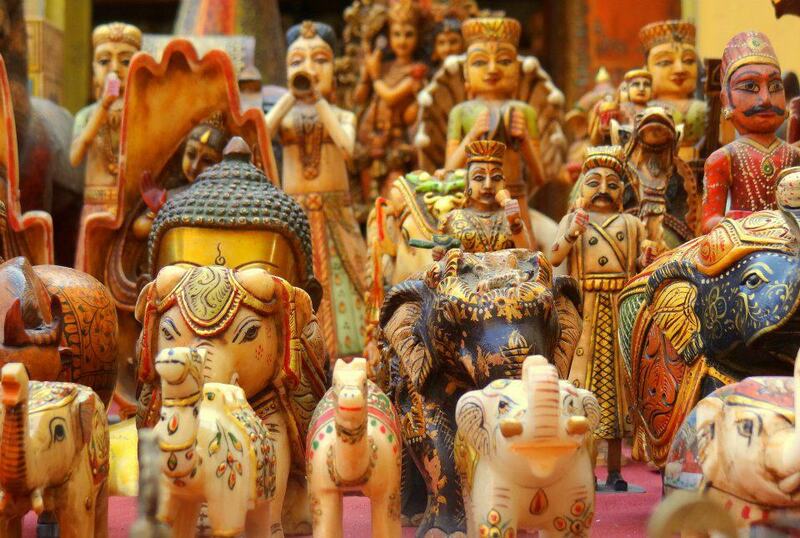 Rajasthan is the land of festivals and fairs. People in this sparsely populated state look for any excuse to assemble together in celebration and take a break from their otherwise rugged, tough lives. The elaborate rituals and the gaiety with which they surrender themselves to the numerous fairs and festivals of the region show their sheer zest for life. 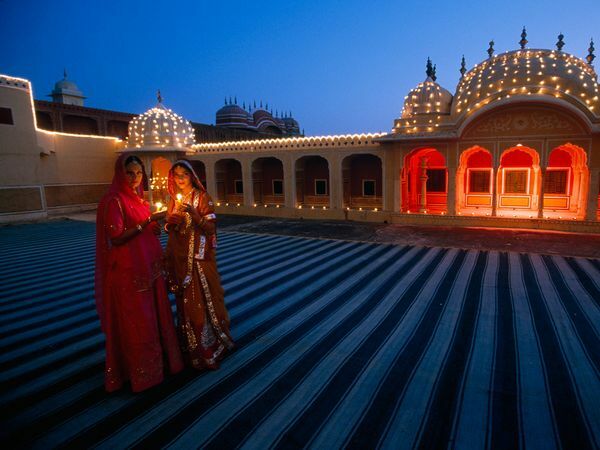 Celebrated every year in October-November, Diwali is undoubtedly the most popular of all Rajasthan festivals. As lamps and fireworks illuminate different corners of the globe, we pray that the light brightens up not only your homes but also your hearts. 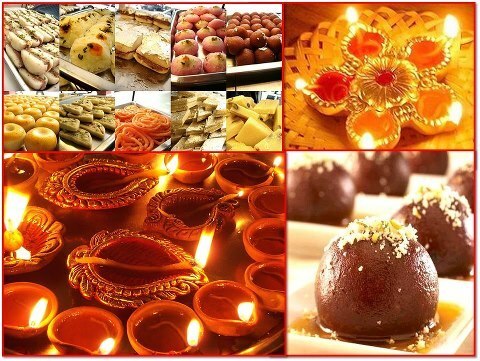 Celebrate Diwali in Rajasthan from November 01 to 05, 2013 with great fanfare, sumptuous cuisines & desserts, ultimate shopping and lots of fun. Minister for tourism, art & culture Bina Kak laid the foundation stone for a food craft institute at Sumerpur in Pali district on Monday. 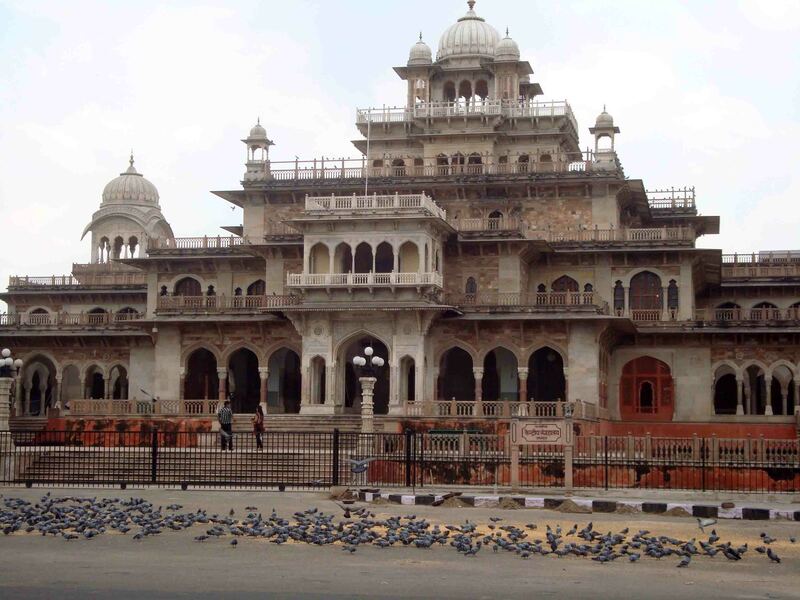 “A tourism-related institute in Pali is an apt choice in view of the fact that Sumerpur – Pali is emerging as an important tourism destination being near to Godwar, Marwar, Mewar, Sirohi and Jalore areas. 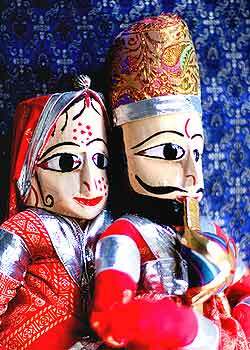 The annual Godwar and Ranakpur festivals organized by the department of tourism have also given a big boost to tourism activities in this region. the Food Craft Institute will provide appropriate training and culinary and catering skills to the students. As many as 150-200 students will get training as part of five diploma courses relating to restaurant, catering, front office, house keeping and bakery. The state government had allotted land worth Rs 1.7 crore for the institute. The tourism department of the Union government will provide Rs 4.75 crore for the building, while the state government has sanctioned Rs 6 lakh per annum working capital for the initial years.